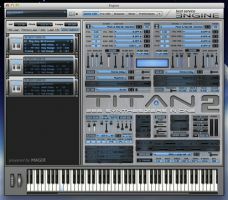 TITAN 2 by Best Service is a Virtual Instrument Audio Plugin and Soundware (e.g. samples or presets that load into other products). 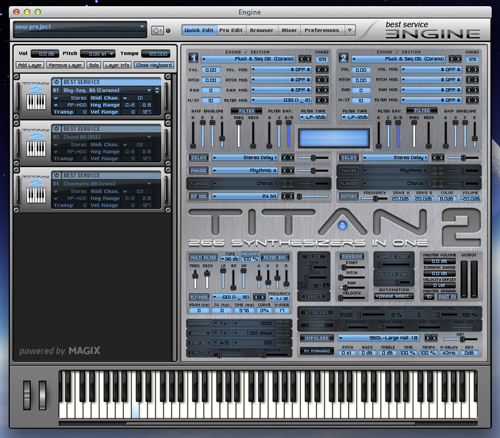 It includes, and is therefore "powered by", Engine, which functions as a VST Plugin, an Audio Units Plugin and an AAX Plugin. 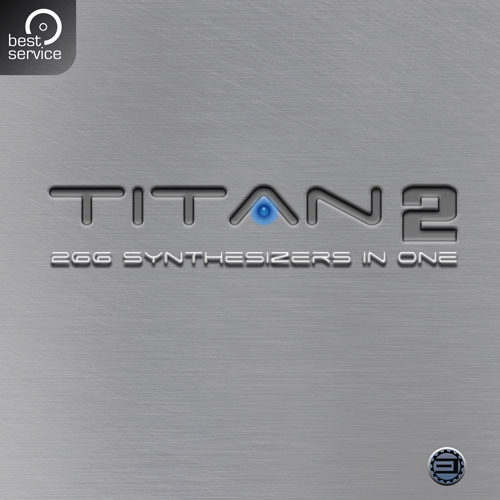 TITAN 2 emulates no less than 266 synthesizers. A new feature in TITAN 2's preset browser is the possibility to search for sound sources – in addition to the existing search for sound categories. This way, you will find sounds of your favorite instruments in the blink of an eye. Attacker-tool for fast altering of any sound's attack phase. 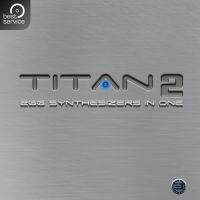 TITAN 2's user-interface consists of two discrete synthesizers with individual and independent filters, envelopes, modulation options and effects. This way, sounds of different synthesizers can be coupled and mixed to create completely new sounds. The integrated convolution reverb offers more than 1,000 high quality impulse responses, including parts of the renowned library "Halls of Fame". 12,800 presets (sorted by synthesizer- and sound-categories). 2,000 Arpeggiator- and sequencer-, modulation- and effects-presets. 80GB sample-content, reduced to 25GB using inaudible data compression. synthesizers can be combined and mixed to create new sounds. two independent synthesizers per preset with individual filters, modulations and over 50 effects. convolution reverb with 1,000 impulse responses. superfast preset loading, less than one second. complete modular system using Pro-Edit mode. Auto-Playback section with arranger (chord memorizer, polyphonic MIDI-file-player). extensive Arpeggiator and polyphonic step-sequencer. requires Free Engine 2.3.0.25 or newer.